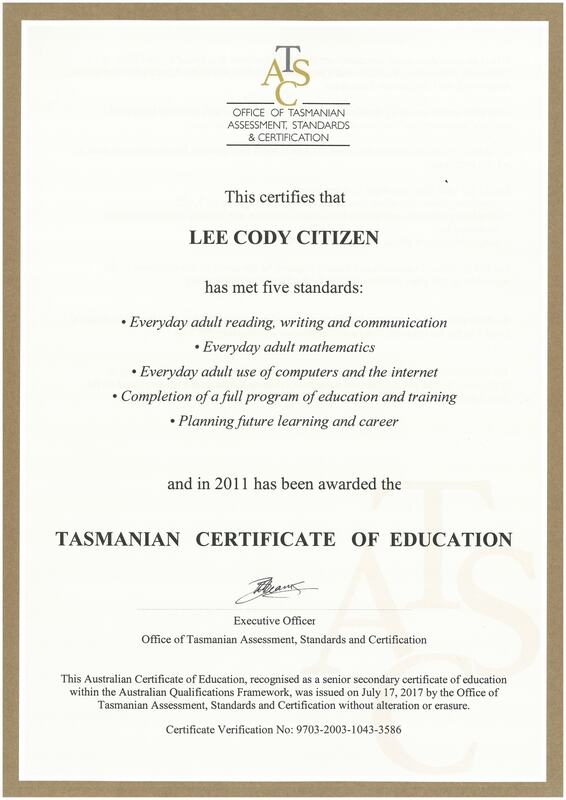 To achieve the Tasmanian Certificate of Education (TCE) you must meet the five standards of the TCE which are outlined below. To meet the participation and achievement standard for the TCE you need to have 120 credit points in senior secondary education and training, with at least 80 credit points in studies at Level 2 or higher. Each TASC accredited course and other learning recognised by TASC (including vocational education and training studies) is given a credit point value. This value shows the amount of learning at a set standard that can count towards the TCE. You can meet this standard with a reasonably challenging two-year program of study at senior secondary level with at least 1200 hours of study in senior secondary subjects. You can also meet this standard with a full program of VET units of competency. Check the course planner for more information about courses. use questions to gather information and provide a verbal report. You can meet this standard if you successfully complete a TASC accredited course that includes the standard or an identified VET course or other TASC recognised formal learning qualifications to show that you meet this standard. Check the course planner for more information about your selected courses. carry out calculations involving fractions and metric quantities. 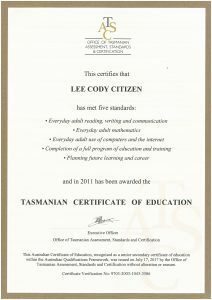 If you have not successfully completed a course indicating that you have met the standard you can take an everyday adult standard skills test. safe and ethical use of computers. We can make special arrangements so that students completing their senior secondary education and training outside the school system can demonstrate that they meet this standard. Contact us for more information or chat with teachers at your school or college. The standard is ‘everyday adult reading and writing in English’ – for example, reading procedures and instructions, interpreting information from diagrams, graphs and charts, writing a brief formal letter, using questions to gather information and provide a verbal report. ‘English’ means Standard Australian English (SAE). SAE is the variety of spoken and written English language in Australia used in more formal settings such as for official or public purposes, and recorded in dictionaries, style guides and grammars. While it is always dynamic and evolving, it is recognised as the ‘common language’ of Australians. A small minority of learners may not have a course pathway or successfully completed a course indicating that they have met the standard. In such cases ‘safety-net’ testing of the skill set is available. A ‘pass’ in the relevant TASC ‘safety-net’ test will show that such a learner has met the standard. The standard is ‘everyday adult mathematics’ – for example, using common maths knowledge and skills to measure, solve basic problems, develop budgets, collect survey information and interpret it, and carry out calculations involving fractions and metric quantities. The standard is ‘everyday adult use of computers and the internet’ – for example, using a computer, using common applications such as a word processor or spreadsheet, sending and receiving information by e-mail, and searching the internet. A small minority of learners may not have a course pathway or successfully completed a course indicating that they have met the standard. In such cases ‘safety-net’ testing of the skill set is available. A ‘pass’ in the relevant ‘safety-net’ test will show that such a learner has met the standard. The standard is ‘a significant amount of learning at a set standard’. It recognises a very broad range of learning, and is flexible about where, when and how that learning happens. The standard is ‘to have developed and reviewed plans for education and training’. Most learners will meet this standard by developing a plan during Year 10 and reviewing their progress at some time before they finish their senior secondary education and training. From 2007, all Tasmanian schools have to make sure that Year 10 learners develop a pathway plan and register it with us by the end of the year. A learner’s plan will include their career goals and the education and training they need to reach these goals.